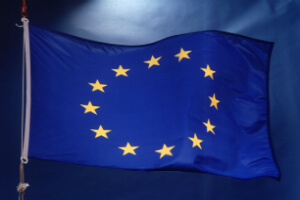 It appears that in 2013 a number of EU countries will be looking to make sweeping changes to online gaming laws in an effort to bolster existing laws and increase revenue generated from online gaming. Among the countries that are looking to alter different aspects of their online gaming laws are France, the UK, and the Netherlands, with all three making different suggestions on how to move forward with online gaming. The French regulatory agency ARJEL published a report detailing online poker revenue totals for 2012 recently and it seems that poker boom has ended in France, with cash-game revenue down 5% year-over-year. Tournament revenue did increase over 20%, but cash-games account for over 80% of total revenue in France. Because of the dismal reports ARJEL is once again pushing for a shared player pool among certain EU countries. The feeling is that with a larger player base all operators would see increased revenues and increase liquidity – basically, the ‘more-players makes online poker more appealing to new players’ theory. While the UK has perhaps the most liberal laws in the world regarding online poker, operators in the country do face a pretty steep tax, which has forced many to move outside the UK in order to compete with their peers who are not forced to pay the UK government any tax whatsoever. A new proposal would see an end to the 15% tax on revenue for UK-based operators, instead taxing all operators based on the amount of play their UK player base accounts for. This proposal would even the playing field for UK operators, who would no longer have to pay a 15% tax on all revenues, and would simply pay the same amount as their competitors. The Dutch Gaming Authority is now meeting with potential operators as the country moves forward with online poker legislation. The DGA expects operators and regulators to be ready to go sometime in 2014 as the Netherlands seeks to capitalize on the tax revenue that online poker has brought to other EU countries. According to reports, the proposed legislation would allow domestic (brick & mortar casinos) and foreign operators to apply for licenses and would not cut off Dutch residents from the rest of the world. So far the Dutch government has asked current operators (operating outside of Dutch authority) to “cease and desist”, threatening to blacklist any providers who continue to operate in the country until the licensing process has been completed.